WSO initiated the first Wisconsin Breeding Bird Atlas in 1995. The Wisconsin Breeding Bird Atlas represented the largest, coordinated field effort in the history of Wisconsin ornithology. WSO is currently working with partners to coordinate the second atlas effort. 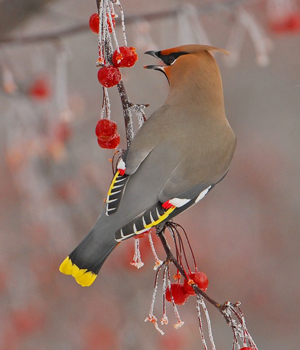 WSO helps to coordinate more than 100 Christmas Bird Count circles in Wisconsin. The longest running Citizen Science survey in the world, the Christmas Bird Count provides critical data on population trends. Project FeederWatch is a winter-long survey of birds that visit feeders at backyards, nature centers, community areas, and other locales in North America. FeederWatchers periodically count the birds they see at their feeders from November through early April and send their counts to Project FeederWatch. FeederWatch data help scientists track broad-scale movements of winter bird populations and long-term trends in bird distribution and abundance. The Cornell Lab of Ornithology and Bird Studies Canada operate project FeederWatch. The Great Backyard Bird Count is an annual four-day event that engages bird watchers of all ages in counting birds to create a real-time snapshot of where the birds are. Everyone is welcome–from beginning bird watchers to experts. Participants tally the number of individual birds of each species they see during their count period and tally these numbers on the GBBC website. This site provides a directory of citizen programs and organizations in Wisconsin that focus on the monitoring of natural resources. WSO promotes the North American Breeding Bird Survey (BBS). The BBS is a long-term, large-scale, international avian monitoring program initiated in 1966 to track the status and trends of North American bird populations. The USGS Patuxent Wildlife Research Center and the Canadian Wildlife Service jointly coordinate the BBS program. The Wisconsin Bird Conservation Initiative (WBCI) recognizes the need for sound bird monitoring programs, and recently its Research and Monitoring Committee identified several key bird groups whose populations previously were not adequately monitored in the state. To fill these gaps and help identify species at risk, three new statewide surveys that focus on owls, nightjars, and secretive marshbirds were initiated in the past several years.